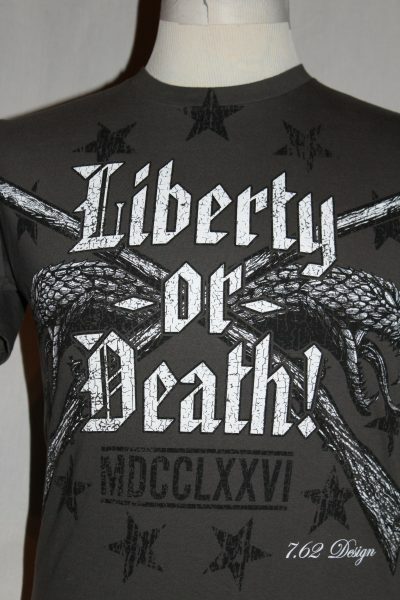 The Liberty Or Death T-shirt is a two sided jumbo print in charcoal. 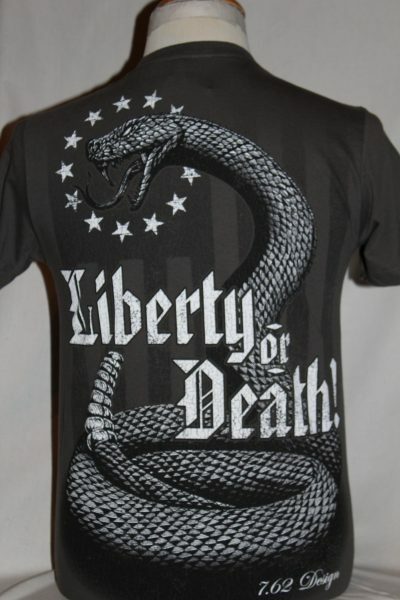 Front Design: Image of serpent heads, crossed muzzleloading rifles, and text. 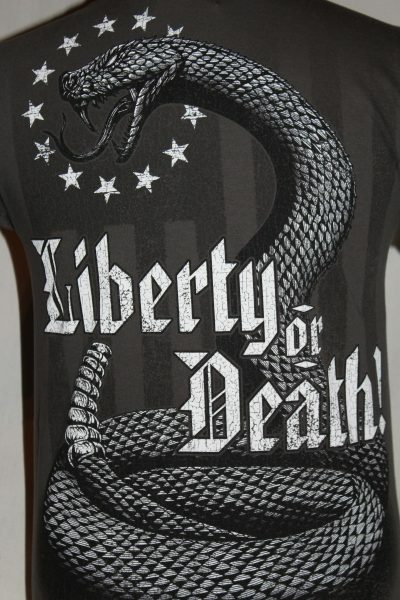 Back Design: Image of a coiled serpent surrounded by stars and text. 7.62 Jumbo 4.7 oz. 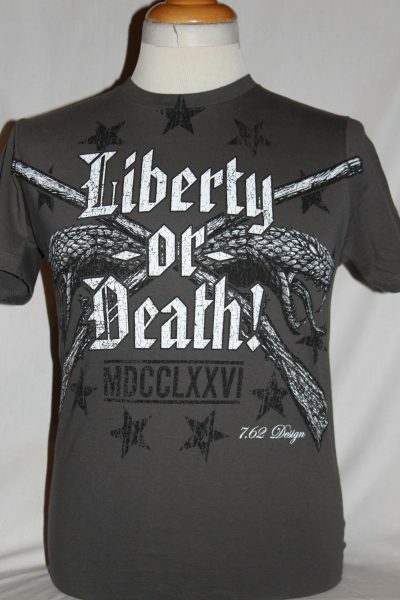 mid weight 100% preshrunk ringspun cotton tagless Tee. This shirt will retain its original color through multiple washing's.